Every week, you'll tap into conscious choices you can apply in the Real World, and elevate your energy to higher states of peace, abundance, bliss, and success with practical steps and actions that lead to real results. Course content includes channeled messages, astrology connections, Real World examples, and a weekly guidebook. You'll focus on one Universal Spiritual Law each week, complete with teaching resources that include audio recordings, worksheets, exercises, and channeled messages. This weekly course features a total of 12 Universal Spiritual Laws with 12 audio recordings, 12 guidebooks, and 46 exercises so you can be a true Master of energy in your life. After receiving payment, you will receive an email with immediate access to the first Universal Spiritual Law. You will receive access to the next Spiritual Law every 7 days. Your weekly payment will occur automatically every 7 days. 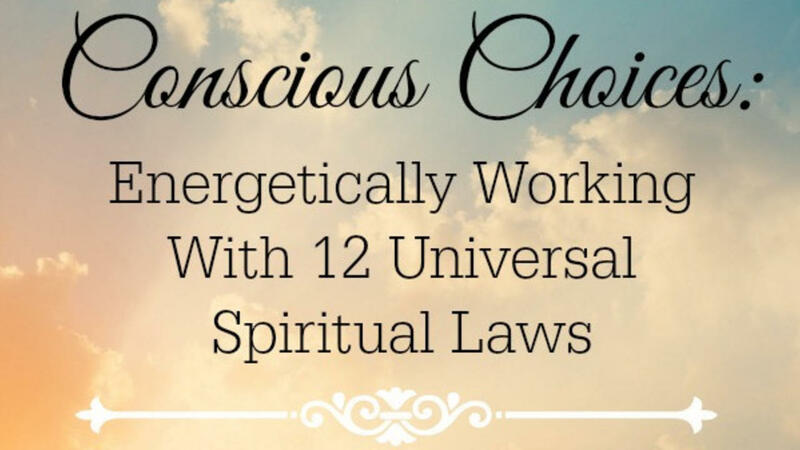 Energetically work with 12 Universal Spiritual Laws to embrace all of your soul's energy. Every week, you'll tap into conscious choices you can apply in the Real World, and elevate your energy to higher states of peace, abundance, bliss, and success with practical steps and actions that lead to real results. This weekly course features 12 audio recordings, 12 guidebooks, and 46 exercises so you can be a true Master of energy in your life.